When you hear “industrial automation,” most of us instantly picture automotive assembly lines with massive robotic arms swinging full-size cars into the air to assemble them piece by piece. A recent study shows that this assumption isn’t far off. Nearly half of all robots sold in the U.S. are indeed at work in automotive plants. However, automation solutions are not just for making cars. Applications can be found everywhere, from machine-tending robots to automated assembly lines at Boeing. Industrial automation is set to grow 7% per year through 2020, and American manufacturers are quickly adopting these solutions to drive this growth. Many of the technologies that are part of an automated assembly, including robots, have come down in cost in recent years. These savings make the initial investment easier to swallow for small- to mid-sized businesses. Depending on the final cost of the assembly, manufacturers see a return on their automation investment in two years or less. Robots will master anything you program them to do. After setup, they work 24 hours a day, performing any number of repetitive tasks with little human oversight. 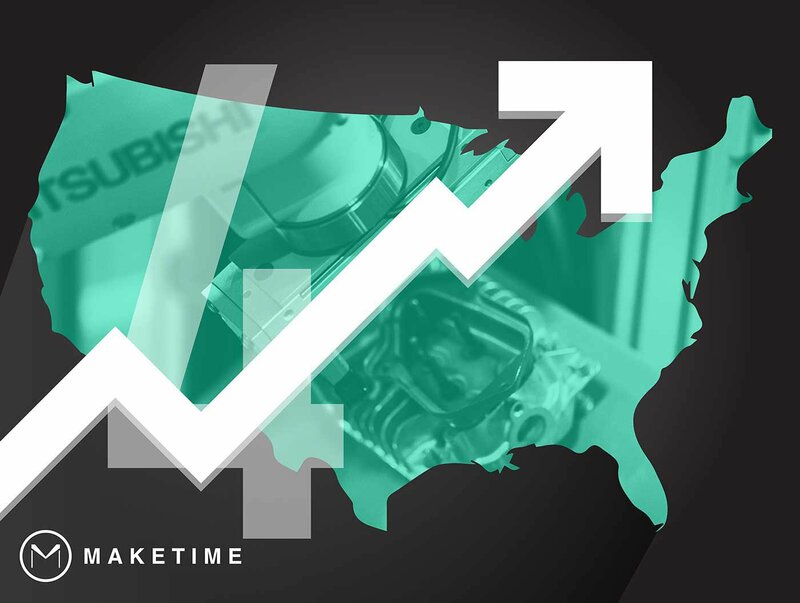 More is completed in less time, making manufacturers more productive and efficient. The possibility of human error is removed, improving the quality of the end product. New automation technologies, like simplified user interfaces, easy robotic programming, improved gripper technology and better vision-guided systems, make automation a no-brainer for many different manufacturing operations. A whole new type of automation solution, collaborative robots, has become prevalent in the last four years. Companies, such as Rethink Robotics, ABB, and Universal Robots, have released new “cobots” that can safely work alongside humans in just about any manner imaginable. At a fraction of the cost of an industrial robot, they are quickly becoming a very attractive option for manufacturers. Reshoring and foreign investments have accelerated in recent years. As labor costs rise overseas and global markets stall, many are seeing the U.S. as the most stable country for manufacturing investment or, in reshoring cases, re-investment. Industrial automation is critical to these investments. The Robotics Industries Association estimates that there are over 230,000 robots at work in American factories, placing the U.S. second only to Japan in robot use. A recent study by Deloitte shows that America will retake the number one position by 2020 as the most competitive manufacturing nation. Reduced costs of automation assemblies, improvements in productivity, speed, efficiency and quality, the explosion of new technologies, and reshoring are driving growth in automation technology usage, solidifying American manufacturing competitiveness as a result..